The DCT6200 supports feature-rich applications, graphics and typical digital TV functionality, including the interactive program guide (IPG), video on demand (VOD) and commercial-free, CD-quality music. In addition to displaying HD programs, the built-in analog tuner will also allow for viewing non-digital programming. Used, but in great condition. Used, but in good condition. 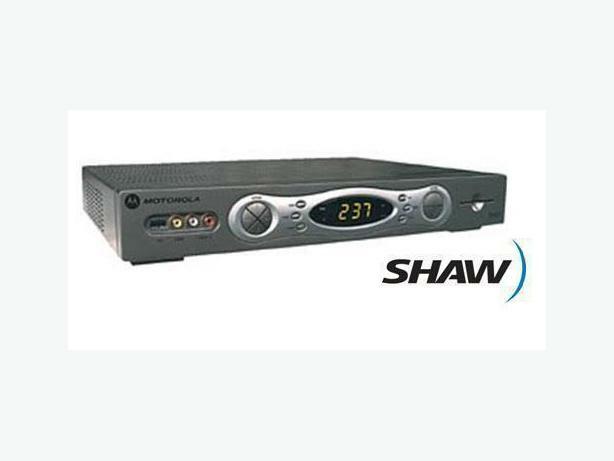 C/w Shaw remote control and HD component cables.